*Note: For use in humidifier or water vacuum cleaner, please ensure the water container is made of Aromatic resistant plastic materials such as polyethylene terephtalate (PET) , high density ethylene (HDPE) plastic or equilvalent. If unsure, seek clarification with distributor / supplier of the humidifier or vacuum cleaner. 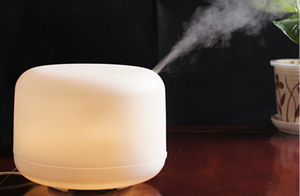 Add 1-2 squirts of aroma concentrate into the humidifier for a soothing scent while moisturing the air. Add 1-2 squirts of aroma concentrate into the water compartment of the vacuum cleaner for eliminating odour while cleaning the house. Aromatic bath/foot spa with our Aroma Concentrate is an effective & enjoyable aromatherapy treatment. It is a relaxing, stimulating and refreshing experience. Place a bucket of warm water with a tablespoon of salt and pour 2-3 caps of Aroma Concentrate. Pamper and soak your feet for 20 mins to enjoy the wonderful aroma. It is a simple yet important session to revitalize those tired feet. – Avoid direct contact with eyes. In case of contact with eyes, rinse immediately with plenty of water. Add 2-3 caps of Aroma Concentrate in a bucket/tub of warm water, wet entire body with it. Or mix 1 cap into water using standard (500ml) sprayer bottle, shaking thoroughly and spray all over body. Leave it on for 15-20 seconds, rinse off and rub sea salt or lather body with any bath foam as usual feeling rejuvenated after this process. The effect is less powerful as compared to water air purifier/revitalizer or humidifier. However, some people prefer a less intense scent and may consider making your very own air freshener spray. Just mix 1 cap of Aroma Concentrate with water in any sprayer bottle and shake thoroughly. Spray and freshen the environment and bring nature into your living space.